Great to see a British winner at the Dublin Racing Festival with the fluent jumping mare La Bague Au Roi making all in the Grade 1 Flogas Chase on Sunday. 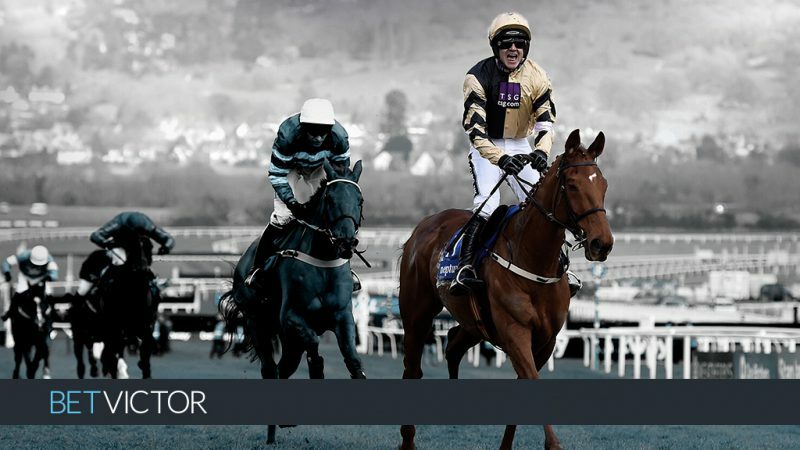 She was cut from 8s to 6s with BetVictor for the JLT Chase and from 14s to 10s for the RSA Chase at next month’s Festival, but connections are not convinced Cheltenham is her track and they are currently leaning towards Aintree as her major end-of-season objective. The ground is soft at Market Rasen and Irish raider Bachelor might easily have been placed behind BetVictor’s 5/2 Triumph Hurdle favourite Sir Erec when coming down at the last at Leopardstown back in December. He would have been the selection on better ground, but his best flat form was on a decent surface and he ran poorly when making a previous visit to Britain on the level back in September. Lisheen Castle (1.50) is penalised 6lbs for his Wetherby debut success but he was effective on soft ground on the level and is entitled to come on for his initial experience in west Yorkshire. If successful today I wouldn’t be surprised if Nicky Henderson’s juvenile faced the starter in the Fred Winter at Cheltenham next month. The Novice Hurdle is a cracker although I was disappointed with the win of Garrettstown here last time given he lacked fluency over his hurdles and was all out to win a moderate contest. This longer trip and softer ground will suit but this is a top-class contest and Clarendon Street and Muratello (2.55) look useful prospects and preference for the latter is marginal. The selection steps up in trip having shaped with considerable promise when a staying on third in the Grade 2 Supreme Novice Trial at Haydock last month. The French import jumped slightly out his right at Haydock and suggested today’s step up in trip would suit. He gets a narrow vote from Clarendon Street who was beaten by subsequent Grade 2 winner stablemate Birchdale on debut before easily landing the odds at Wetherby last month. Follow The Swallow (4.00) is creeping up the weights without winning but he has not been the luckiest horse in training and the hope is that he can gain his first win in Britain having scored under rules and in a point in his native Ireland. They were inspecting at Sedgefield Monday afternoon but in the hope that the meeting gets the green light the grey Saryshagann (2.40) has winning jumpers in his pedigree and shaped with promise at Doncaster when third on debut. He was a winner at Kempton over 1m 3f on the flat for David O’Meara back in November and is rated 80 on the level. Top-weight Skipping On has won four of his last five races including over timber here last month from a 5lbs lower mark. The 10-y-old gets on particularly well with Tabitha Worsley and she can make a bold bid from the front although those wins have come in 6, 5, 5 and 4-runner events and he might not get an uncontested lead in this 8-runner race. Marginal preference is for Absolutely Dylan (3.10) who has taken well to fences and can take the drop back in trip in his stride. Sajanjl (4.45) reverts to a mile at Newcastle this evening and the hope is that Simon Crisford’s filly can finally break her maiden tag at the eighth time of asking. She is obviously no star but deserves to win a small race. Macs Blessings (6.45) didn’t appear to get home over an extended nine furlongs when third at Wolverhampton on Friday evening and this straight and stiff mile should be ideal given he was a staying on third over 7f here on his penultimate start.